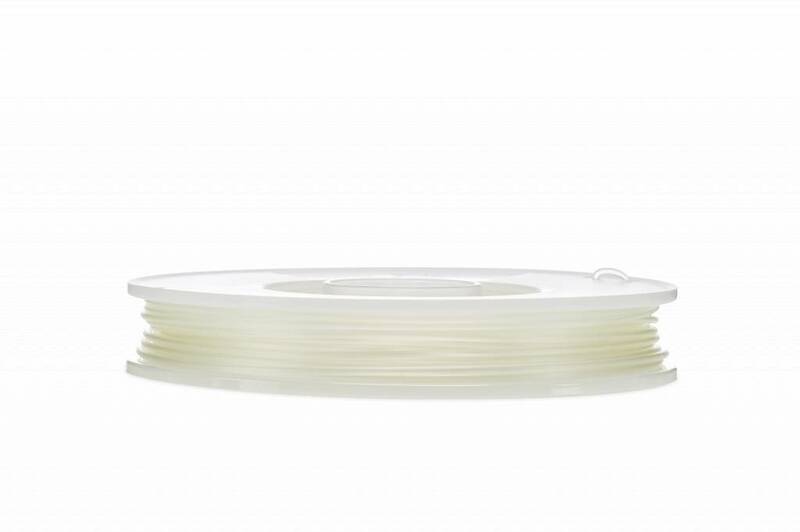 PVA (Polyvinyl Alcohol) is a water soluble support material for multi-extrusion 3D printing. 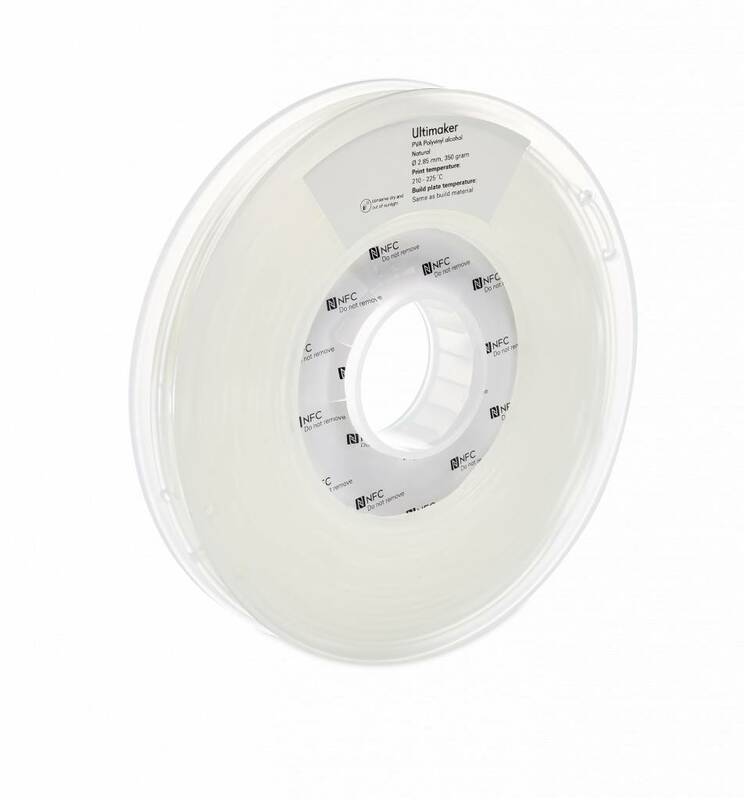 With a good thermal stability, Ultimaker PVA is ideal for printing complex models that require supports for large overhangs, deep internal cavities and intricate geometries. 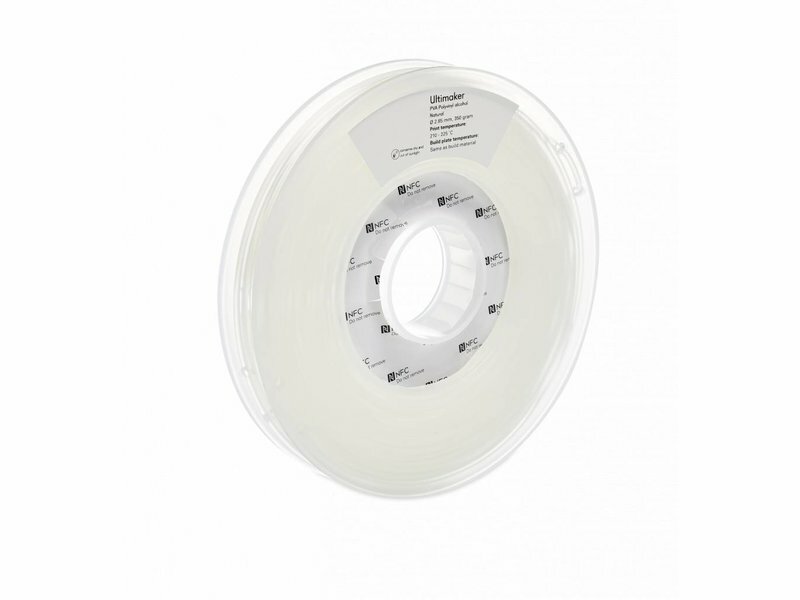 Designed for seamles 3D printing experience, Ultimaker PVA provides good adhesion to both PLA and NYLON. 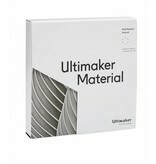 Why should you choose Ultimaker PVA? 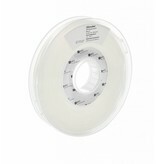 Dry: Let the 3D print dry and apply additional post processing to the build material if necessary. 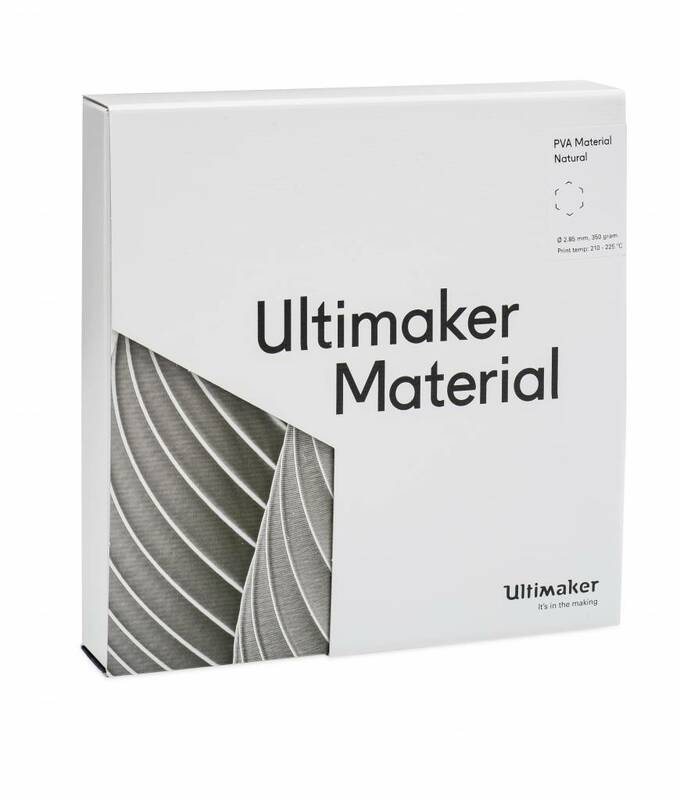 As a water soluble material, Ultimaker PVA empowers engineers and designers to create highly detailed surfaces and complex moving mechanical parts in just one run. 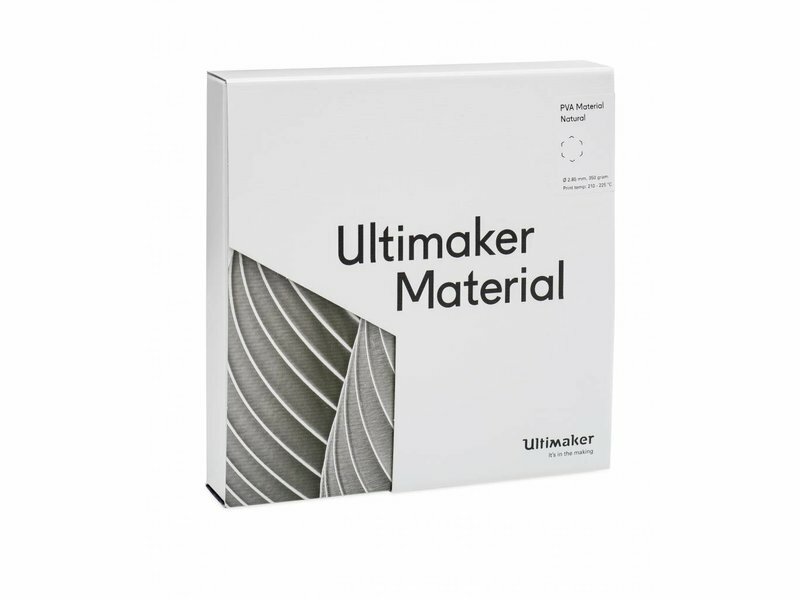 Coupled with the right build materials and Ultimakers proven material profiles in Cura for the Ultimaker 3, Ultimaker PVA opens a whole new world of opportunities to intricate designs and versatile applications.